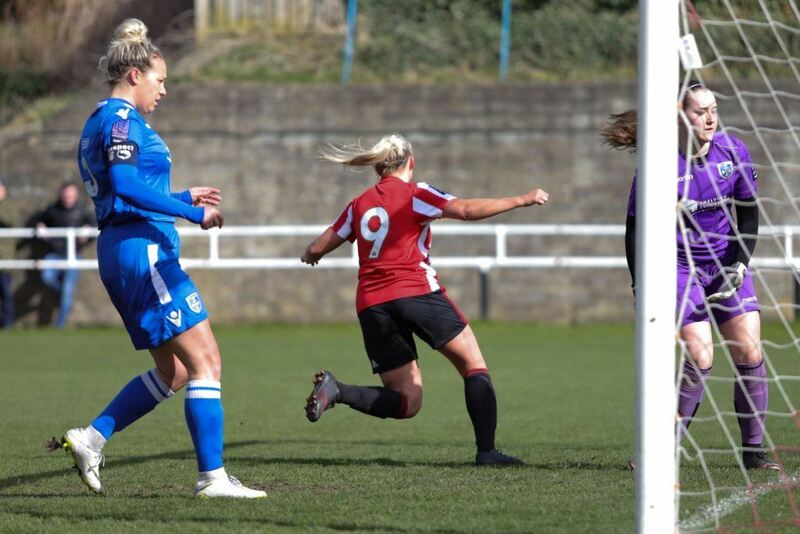 Sunderland Ladies took a big three points as they look to secure second place in the FA Women’s National League North, as rivals dropped points. Grace McCatty’s 87th minute volley was the pick of the goals, but three first-half strikes via Bridget Galloway in the fifth minute, Niamh McLaughlin in the 13th and Keira Ramshaw in the 39th gave the hosts a comfortable win despite Sophie Walton’s 88th minute consolation for Guiseley. Sunderland were mostly unchanged from the side that beat Nottingham Forest and Blackburn Rovers. With five defenders missing, Melanie Reay was forced into changes at full-back, Faye Mullen and Emily Hutchinson brought in to replace Louise Griffiths and Amelia Kemp. Galloway got The Lady Black Cats off to a flyer, getting across her marker to turn in Ramshaw’s cross at close range five minutes in. Ramshaw would create another only eight minutes later. Her cross to the back post was headed in by McLaughlin, the Irish winger netting her fourth in three games. Sunderland continued to create chances but had to wait until the 39th minute for a third. Captain Ramshaw found the bottom corner after Mullen picked her out with a low cross. The second half was laboured but Sunderland continued to dominate without any breakthrough. Eventually, McCatty got Sunderland’s fourth three minutes from time, the centre-back’s venomous volley finding the top corner from the edge of the area. Guiseley would pull one back a minute later, a wind-assisted free-kick from Walton got the better of Allison Cowling to give the visitors a consolation. With rivals Derby, Huddersfield, Fylde and Stoke all dropping points in the race for second place, Sunderland take a huge step towards clinching the spot.